Could schizophrenia be a sleep disorder? Schizophrenia is among the most damaging and least understood of all mental disorders. Now a seemingly minor symptom — the fact that many schizophrenia patients complain of sleeping problems — could actually provide a crucial key to unraveling the disease. At first glance, trouble sleeping might not seem like that big a deal, the sort of thing that is easily explained away by the difficulties of coping with this disease, or perhaps the result of various medications. And yet Oxford researcher Russell Wilson and his team recently published results that show these sleep problems exist regardless of any of these external lifestyle factors — suggesting a potentially much deeper link between schizophrenia and the brain's sleep centers. As New Scientist reports, the researchers tested this idea by studying mice with defects in their SNAP25 gene, which is linked to schizophrenia in humans. They placed the mice in an environment where twelve hours of light was followed by twelve hours of darkness. While the mice with normally functioning SNAP25 genes were active during the artificial daytime, the altered mice were the exact opposite. Something was deeply wrong with their circadian rhythms. That in turn suggested a problem with their suprachiasmatic nucleus, a piece of brain tissue that gathers information on surrounding light levels so that the rest of the body knows when to be active and when to effectively power down. The researchers discovered the relay links between the SCN and the rest of the body were damaged in the altered mice, and this had caused the internal clocks throughout the rest of the mice's bodies to get wildly out of sync with the brain. 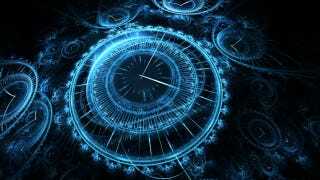 "There is a defect in the way that the master clock in the SCN is talking to peripheral clocks. It's rather like jet lag. All of the biology is in different phases. Once you disrupt sleep you precipitate a raft of additional problems that make things worse and further destabilise the neurotransmitter systems of the body." While this doesn't mean the body's malfunctioning internal clocks actually cause schizophrenia, these experiments suggest that they could well be a vital piece of the puzzle in explaining what causes the disease. This link is strengthened by the fact that many other diseases linked to disrupted sleep patterns, such as cardiovascular disease and obesity, are also common in schizophrenia patients. Current Biology via New Scientist. Image by Kim D. French, via Shutterstock.